Ben Askren finally has a fight. The undefeated welterweight will be defending his title against Agilan Thani at ONE: “Dynasty of Heroes” in Singapore on May 26th. Askren (15-0-0-1) believes fervently that he is the best welterweight on the planet but he hasn’t had an opportunity to prove his point in the past 12 months. A combination of no contests, postponed shows, and opponents who missed weight has caused “Funky” to win just one fight in the last two years. 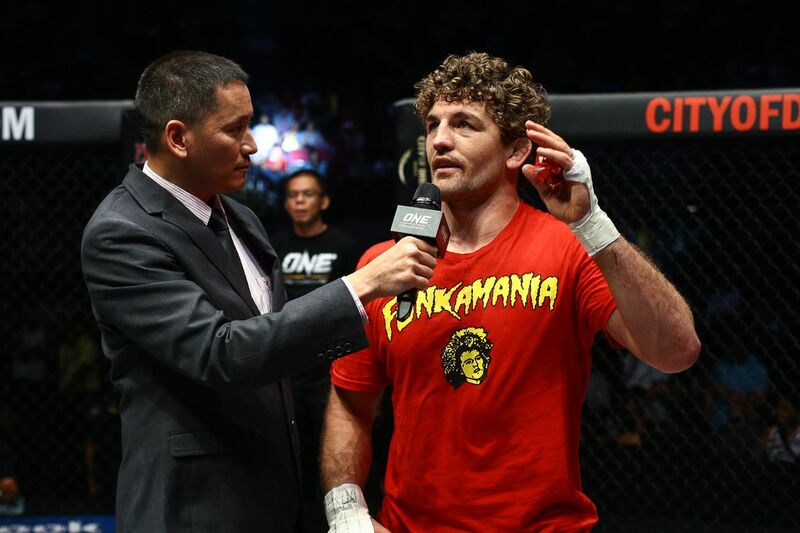 However, the former Bellator champion still has arguably the best record in the entire division and Askren will have an opportunity to extend his undefeated streak when he faces Thani at the Singapore Indoor Stadium. The fight will be the co-main event on a card which also features Angela Lee in a title defense and Shinya Aoki in grappling action. Thani (7-0) might not have such a big reputation as Askren but he earned his title shot the hard way by winning six fights out of six for Asia’s biggest MMA promotion. He was also undefeated as an amateur and has won 12 straight bouts overall, with only one of those contests going the distance. Whether or not the Malaysian has what it takes to become the first man to ever beat Askren remains to be seen but the former MIMMA champion is sure to bring plenty of fans south of the border with him. Are You Uncomfortable with a Naked Jon Jones? !